We believe that all children are successful, competent and capable learners and we offer children opportunities to learn and make sense of their world through a play-based curriculum. We aim to instil in all children a desire and curiosity for learning. We offer many opportunities for open-ended exploration and participation. Our learning programs are based on the children’s individual abilities and interests. We encourage children to contribute to their own learning experience by sharing their ideas and interests with our educators and each other. This way we can all work together to help the children grow and discover their full potential as independent, life-long learners. Our early childhood educators create stimulating and nurturing environments that encourage self-confidence, imagination and respect for others. Our educators build strong relationships with parents and families and we work together to provide the best quality care for children. We take great pride in our services, the learning environments and educational programs that we provide and are committed to best practice and continuous improvement. All of our services are regulated in accordance with the National Quality Framework and we look forward to developing a relationship with parents in our community. The Bagot Community is rich with history and heritage including both traditional Aboriginal culture and lore and the more recent 75 years of Darwin history. The Community Medical Centre for example is recognised as historically significant. The medical centre is one of the few surviving buildings in Darwin from the period leading up to the Second World War and the Bombing of Darwin and the oral histories that can be told by the older Bagot residents are priceless. The Bagot Community is managed by a Community Council whose members are Directors of the Bagot Aboriginal Corporation. This Council provides governance for the community and all associated programs. Whilst there are a large number of positive aspects to the Bagot Community it is nevertheless a community in need. There are approximately 400 hundred residents – mostly permanent but there is also a large transient population. There are approximately 30 different clan groups and a similar range of language groups. This is a residualised population characterised by a range of social, economic and education issues resulting in an over representation in areas including domestic violence; child protection; low education and school attendance; and juvenile detention. Improved relationships between the Bagot Community and the broader community. Child and Family Education and Support Project – focussed on the primary carers and children from birth to 5. Out of School Hours and Vacation Care Project. Families for School Attendance Project – supporting families to create a stable home environment for their children which will promote school attendance and success. Walking Bus Project – getting young children to school safely and on time. Collective Impact Project – improving community governance and management. Whilst each of these projects can stand alone it is their interconnectedness with each other and with other programs in the community that will result in long term change. The Collective Impact Project is establishing a methodology for coordinating the efforts, and maximising the impact, of all services in the Bagot Community and will build the capacity of the Community Council to manage that process into the future; The Out of School Hours (OSHC) and Vacation Care Project provides education and care in a safe and stable environment for the children of the Bagot Community; The Child and Family Education and Support Project builds on the existing OSHC Program and facility to provide integrated services that will support child health, wellbeing, early learning and school readiness through a families as First Teachers approach; The Families for School Attendance Project supports families to address the deeper issues, including unemployment, domestic violence and substance abuse that result in student poor attendance through a case management approach; and The Walking Bus Project will ensure that younger children in the community get to school each morning safely and in time for the school breakfast program. The majority of employees in these programs are Bagot Community members. It is envisaged that these programs will grow into the future and become Community run programs. These programs are funded by the Australian Government through the Budget Based and Indigenous Advancement Strategy Funding Programs. Funded through the Department of Education, the West Pilbara Mobile Children’s service offers quality education and care programs to remote indigenous communities. Our programs are influenced by the Early Years Learning Framework and reflect the individual context and culture of each community in which we work. Our team travel to remote communities on a weekly basis and provide opportunities for children to learn and develop through intentional play experiences, offering them the opportunity to access quality educational programs prior to entering formal schooling. Working in partnership with the community school teaching staff we ensure experiences offered are the most beneficial for the child as an individual and strive to ensure a smooth transition to school is facilitated for all children. 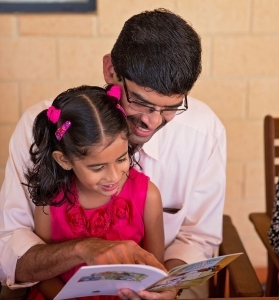 We support families to become involved in their child’s early learning in a way that is meaningful to them, creating opportunities for children to develop to their full potential in collaboration with their family. Our experienced and qualified team include our Program Supervisor who has over 13 years’ experience in Children’s Services and an Advanced diploma of Children Services . Our Assistant Educator has over 5 years of Industry experience and holds a Certificate 3 in Children’s Services. 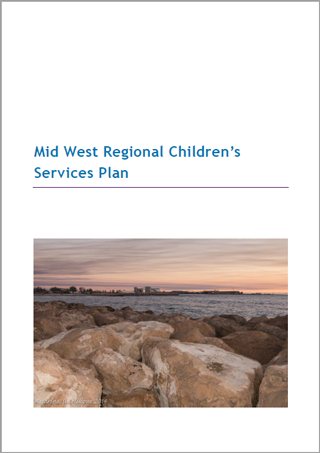 A parent handbook with information and flyers on relevant caring information, and others supporting agencies are readily available and can be accessed at all playgroups. HIPPY Hedland (Home Interaction Program for Parents and Youngsters) is an enrichment home based program that fosters a fun learning environment promoting a positive smooth transition to school. The program builds skills of parents and carers which not only facilitates the building and nurturing of strong relationships with families, children and community but additionally empowers and supports families to be their child’s first educator. This builds confidence and skills to inspire a real connection to and love of learning in the formative commencement of schooling as well as increase the parental involvement within the school setting. The program focuses on the development of school readiness with an emphasis on pre-numeracy and pre-literacy experiences, concentration and listening with the intent of improving better educational outcomes for children. The delivery of the program is a 2 year commitment. The first year centering on the pre numeracy and pre literacy and the second year extending on this to strengthen concepts and skills. Program delivery provides individualised support to meet the needs of each family to support both the child and parent’s development in building self-confidence and skills to support their child’s success in lifelong learning. The program is facilitated by the coordinator, with the aid of tutors, who support families to reflect on the workbooks and supplementary materials through home visits and group meetings and encourages families to consider the learning environment utilising the supplied educational tools for embracing and aiding the concept of ‘Everywhere Learning’. HIPPY is a voluntary programme. To be eligible to join the programme, the family must have a child in the year before they start school (aged 4 by the 30th June), live in the catchment area where HIPPY is being delivered and be eager to participate and enhance their child’s learning journey. Families may hear about HIPPY from a variety of sources throughout the community. Should a family be interested in enrolling their child they contact the local HIPPY coordinator to be taken through the enrolment process, arrange to attend an information and/or activity session. For more information about HIPPY Hedland download the brochure here or to enrol in HIPPY Hedland download the form here. HIPPY Geraldton (Home Interaction Program for Parents and Youngsters) is a free, two year early learning program helping young children and their parents/ carers make a successful transition to Kindergarten and Pre-Primary. Empowering parents/carers to create a fun learning environment at home supports the school program and increases the chance of a successful school experience for the child. HIPPY encourages a love of learning for the whole family, with the whole family and is shared through weekly home visits and regular group meetings by a trained HIPPY mentor and community service support. HIPPY families spend 10 to 15 mins a day doing fun educational activities and are provided with a HIPPY box, craft supplies, story books, activity packs and resources to share. We love it! 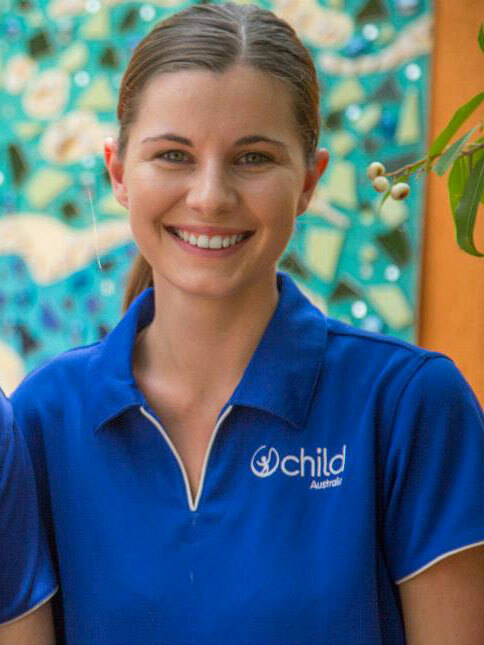 Child Australia co-chairs the Grow Well, Live Well Collective Impact Initiative based in Palmerston in the Northern Territory. Collective Impact helps organisations and communities work together to address complex social problems such as, ‘How do we support children and young people to grow up and reach their full potential?’. It recognises that one organisation or government department by itself cannot have all the answers and that we all need to work together to respond to social issues within the community that are impacting the development and experiences of children and young people. 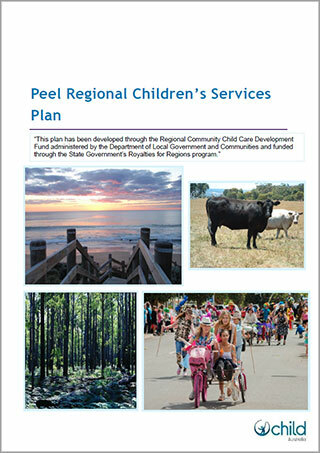 The next stage of the initiative is to support the Palmerston Community to develop and implement a Community Child and Youth Action Plan. We assist socially and geographically isolated families to connect with and participate in a wide range of play, early learning and parenting activities.